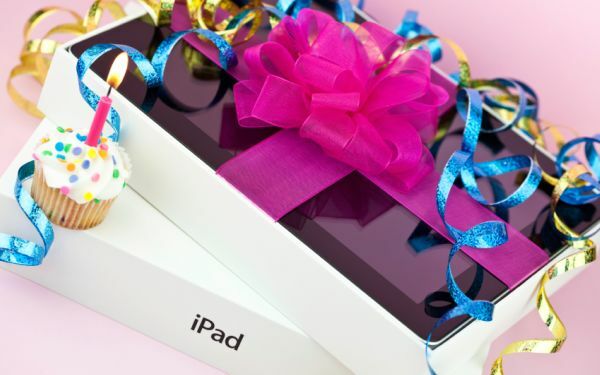 Happy 2nd Birthday, iPad. What Will This Toddler Be When it Grows up? Two years ago Friday — Jan. 27, 2010 — Apple unveiled the iPad to the world. At the time, critics and analysts were quick to mock the name, criticize the devices shortcomings and predict that while the Apple name would sell the product, it wouldn’t create a new market. Boy, were they wrong. The device was an immediate success, quickly becoming the fastest-selling gadget of all time. Even those of us who were bullish on the iPad have had our expectations blown out of the water. As a company, Apple just had its most successful financial quarter ever and sold 15.4 million iPads. Apple CEO Tim Cook says he can envision a time when the tablet market will be larger than the PC market, at least in numbers of units sold. Looking at the trends in computing — especially with the rise of Ultrabooks — the merging of the tablet and the computer into one device certainly seems possible. Some Windows laptop makers are already attempting such a hybrid, with mixed success. Two years after its introduction, the iPad has not only created the modern tablet market, it has had a transformative effect on publishing, education and entertainment. The rate at which the iPad has become a widely-adopted piece of technology — from the car service in my neighborhood to hospitals to airlines — is staggering. I was discussing with a friend the changing nature of entertainment, and the role that the iPad has had in convincing networks and content producers to embrace the future. I remarked that the iPad is the first device that has shown what can happen when you meld the TV and the computer. The size, touchscreen and supported applications has turned the iPad from a simple consumption device to something much more robust. Two years ago, I watched Steve Jobs unveil the iPad. My reaction: This is the future. Two years later, I’m even more convinced. This is why the iPad matters. No other device in memory has had the ability to integrate into so many different worlds so quickly and will so little resistance. Over the last two years, plenty of so-called “iPad Killers” have entered the market. Very few found success. The Kindle Fire, the first product to significantly undercut the iPad on price while matching its content ecosystem, has garnered a decent amount of interest — especially at Best Buy. But as Apple’s first-quarter figures showed this week, it’s not eroding iPad sales. Android is the leading platform on mobile. But on the tablet, the number of optimized apps are still extremely low. I’d be surprised if there were as many tablet-specific apps for Android now as there were for the iPad at its launch. The iPad represents the cornerstone of the next era of computing, both for Apple and for the industry. Here’s to many more years of disruptions.